This post is days overdue but I’ve been under the weather the last few days and I haven’t felt like doing much of anything. 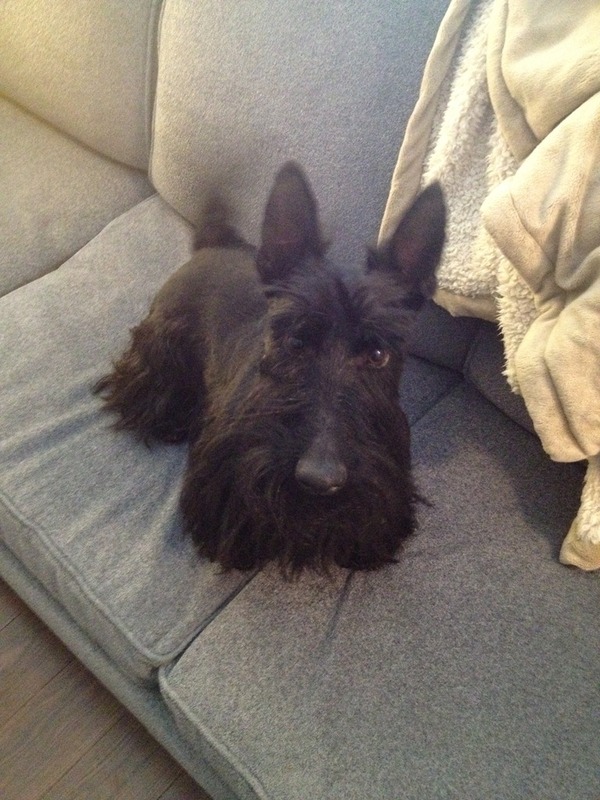 Anyhow…meet Peat! That’s right, the Husband and I decided to expand our family. We talked about adopting an older dog versus a puppy. 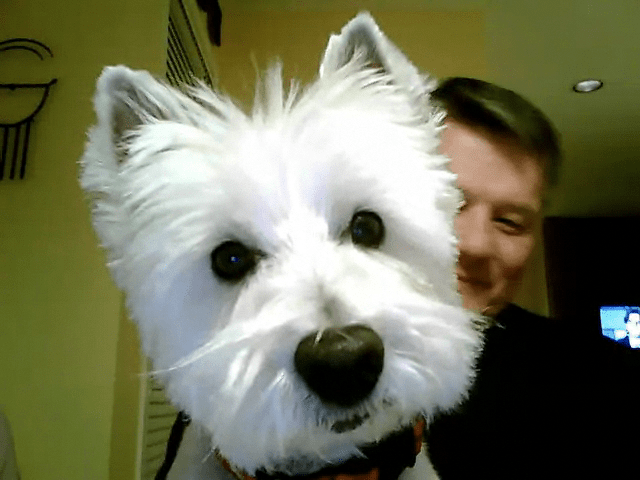 I had adopted Finlay (my Westie) as a rescue and he definitely came with a lot of baggage so I had some concerns about going through that again. 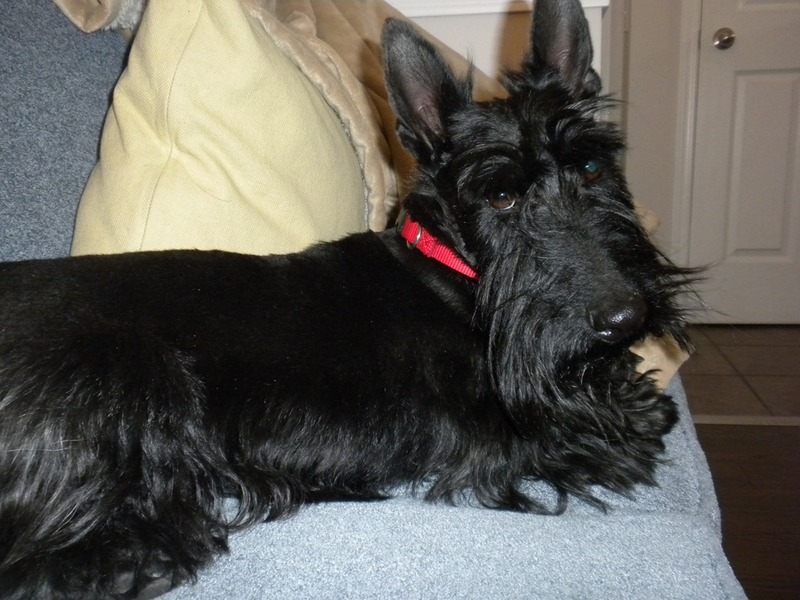 Once we agreed on a breed (Scottish terrier) and talked about the timing of a puppy versus life I started trying to find a reputable breeder. I started talking with a breeder that I got a really good feeling about. She had just bred one of her females and there may be puppies on the way. After a bit more back and forth she mentioned that she had an older dog that she was looking for a new home for. Enter Peat! Peat is almost four years old. He’s a well loved and super friendly little guy and his previous owners didn’t feel that they were able to give him the amount of attention he deserved. He was shown as a puppy and has done agility and Earthdog trial competitions so he’s well trained. He loves people, he’s toilet trained and he’s okay with being left on his own while his owners are at work. He didn’t seem to have any of the baggage that I was worried about. The Husband and I took a drive down to Okotoks to meet him and it was pretty well love at first sight. We picked him up and brought him home on Friday. Since then his tail has been wagging non-stop (as evidenced by the very blurry wagging tail in the above picture). He seems to have adjusted to being in a new home right away. He loves to give kisses and snuggle on laps. He’s an awesome little guy and I’m pinching myself that we actually got to adopt him. So why is his name Peat? 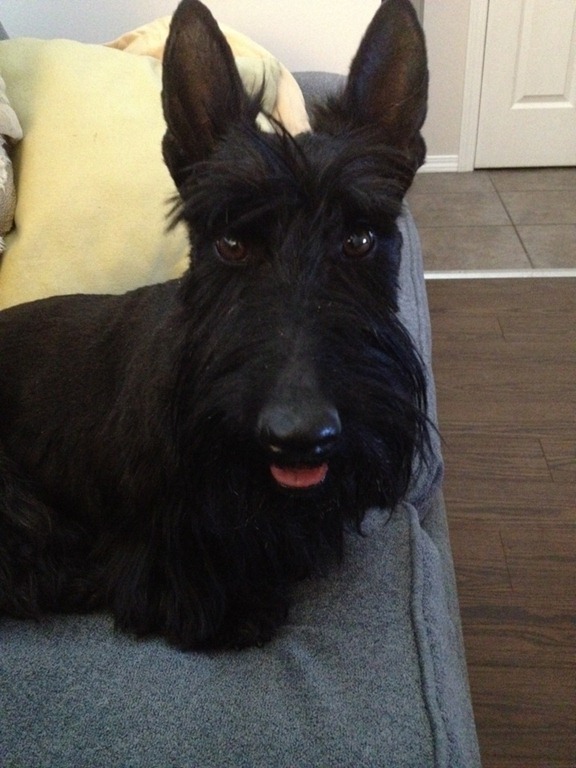 Peat’s registered name is Lagavulin, after his previous owner’s favourite Scotch. Apparently this Scotch is quite peaty…hence his call name of Peat. And just in case you are wondering about Finlay…he’s alive and well and being perfectly spoiled by my parents in the Okanagan. About a year and a half ago my parents babysat him for me and he’s been there ever since Finlay didn’t deal very well with being left home alone. 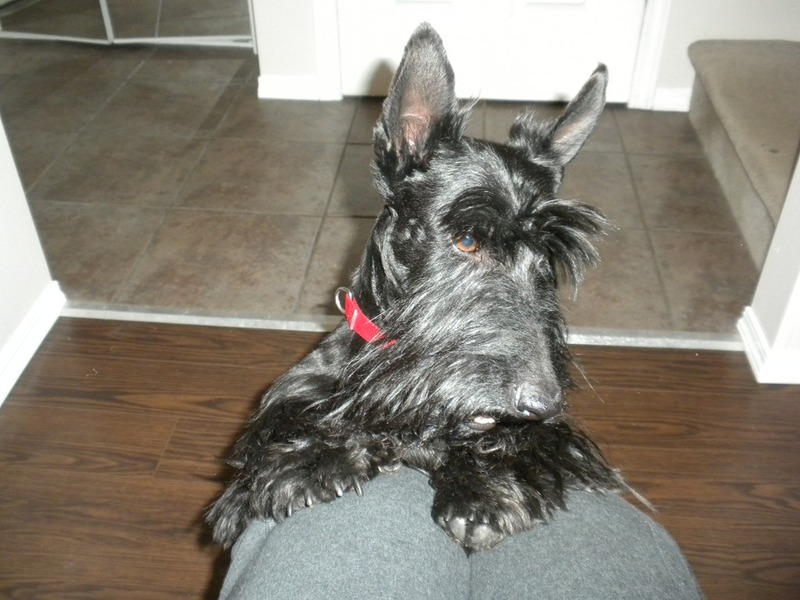 He’s loving the attention he gets from my parents all the time and the companionship he gets with Maggie, my parents’ almost 13 year old Scottish terrier. Lucky little Peat! He is so handsome! I was wondering about Finlay but was almost afraid to ask. Nice to hear that he is living the life of retirement with Maggie and of course your parents! Awww! Welcome home, Peat! So cute! haha. a friend of mine had a dog that her parents mysteriously adopted after dogsitting for her once… but, sometimes those attention-needy dogs just need that extra attention! and i’m sure it’s nice to be freed up to do things when you want to, even though i know you love finlay. 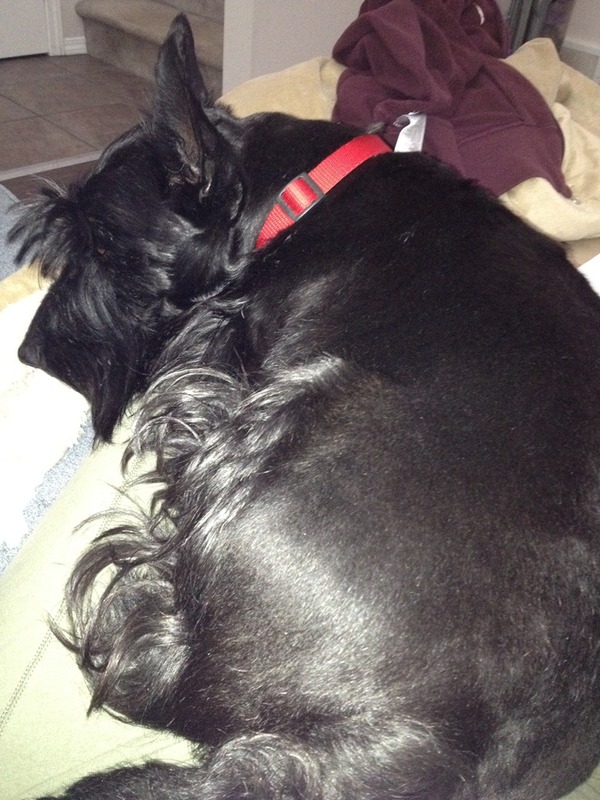 he is adorable, but so is peaty! So cute! 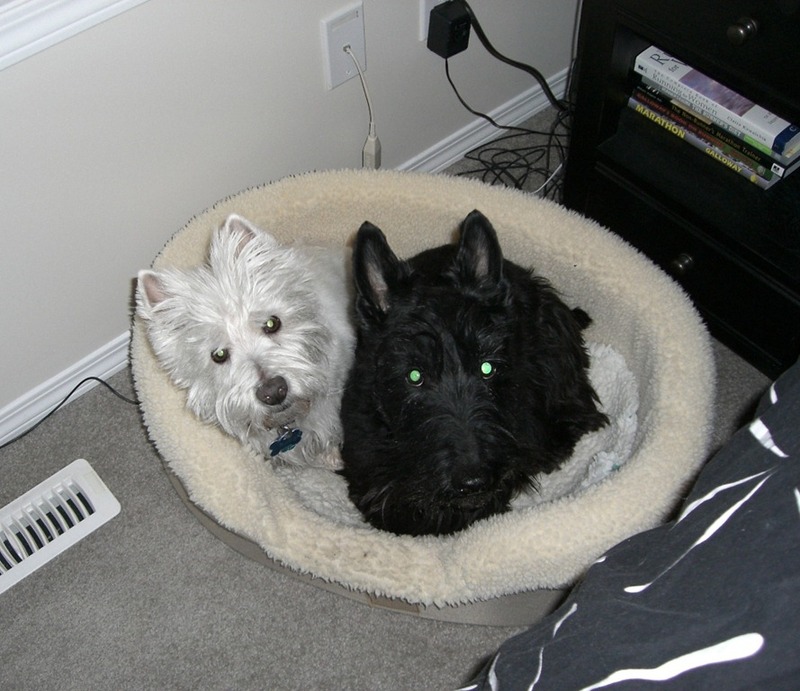 I love scotties and westies. Awww, congratulations! Sounds like the perfect pup and a good fit. Glad to hear that Finlay is doing well in his new home as well.